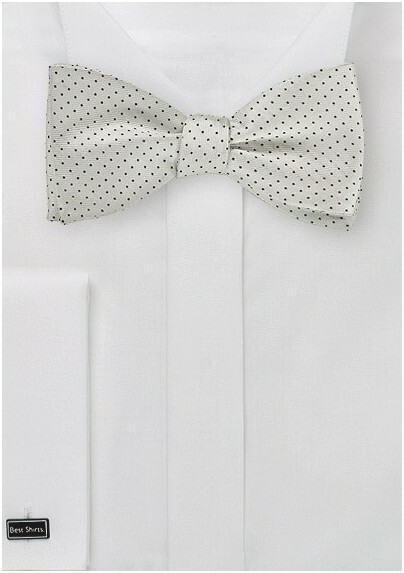 From Blackbird's latest Pin Dot Collection, this stunning bow tie features a light shade of silver and a pattern of delicate black microdots. Handwoven from pure Italian silk. 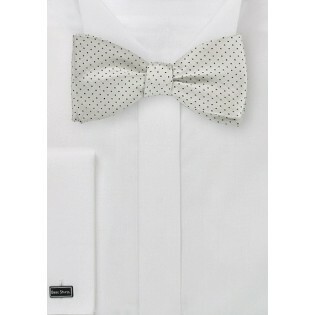 Includes a self-tie bow and adjustable neck strap so you can wear it just the way you like it.